What happens when people are reunited with the wild animals with which they forged a deep bond years ago? Will these gorillas, elephants, cheetahs and chimpanzees still recognize their human caregivers and how will they react? That is the premise of “Nature: Animal Reunions” which also raises the question whether wild creatures can really experience emotions like joy, devotion, and love. It’s a debate that many animal lovers are convinced is true and the scientific community is beginning to accept. 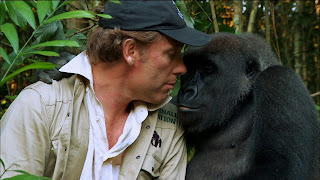 “Animal Reunion”s — narrated by actor Richard Thomas — contains interviews with scientists, authors, and caregivers including scenes of their journeys to reconnect with their former wild charges. It will air 8 p.m. Wed., March 30 on PBS.